Martinez will step aside from his position as the big-league hitting coach and move into the role of organizational hitting adviser. 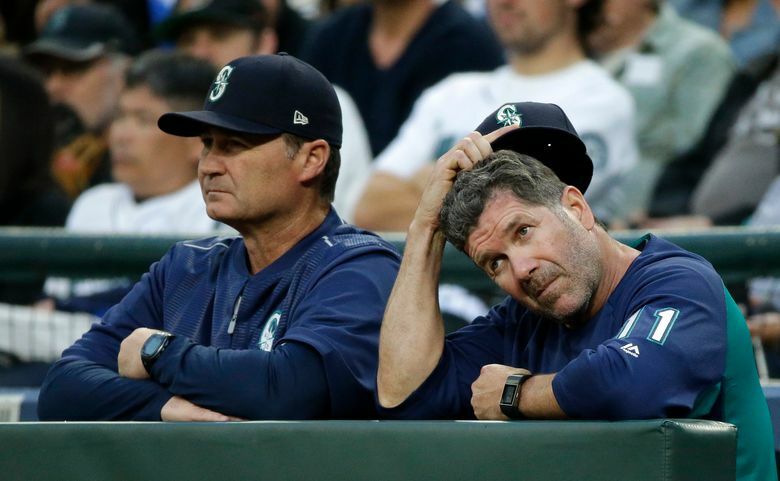 In the final days of the 2018 season, the fatigue from frustration was evident on Edgar Martinez’s face. Always affable and optimistic about the next game and the next at-bat for his hitters, the Mariners hitting coach still suffered through the failures of an offense that didn’t live up to its expectations, instead producing at a level well below average. “It’s been a grind, but they have kept working,” he said in the final week of the season. But the Mariners icon is stepping aside for a new person with a new voice to try for better results in 2019. Martinez will take on a new position in the organization that will offer him a chance to work with hitters at every level in the system — and allows him to see his wife, Holli, and three children more. His decision wasn’t made because of the team’s failures at the plate, particularly in the second half of the season. The Mariners averaged 4.18 runs per game (11th in the American League) and 4.07 runs per game after the All-Star break, which was second fewest in the AL. Sources indicated Martinez, 55, had seriously started contemplating this move in the final weeks of the season. The rigors of another marathon grind as the big-league hitting coach had taken its toll since he started the job June 20, 2015. Dipoto and Servais will have two vacancies to fill on the big-league coaching staff. The Mariners decided not to bring back pitching coach Mel Stottlemyre Jr. for next season. Martinez said he believes in his new role, he can help the new hitting coach transition to the job.